Co n nec tion Welding, Thread, Clamped(Quick-Install), Flange, Union etc. 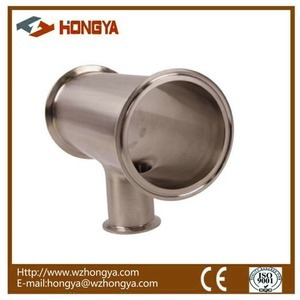 Usage sanitary fitting for brewery industries or drink industries etc. P & E china is responsible for the CKAN, GEMO, ZIMANI, Meatier, SHST brand products management, production, processing, and supervision. 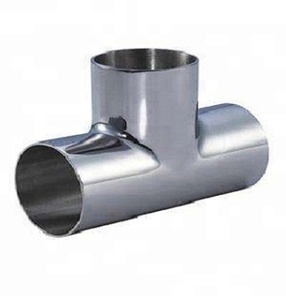 Product Features Multi- Function Tee products are economical and handy fittings which can solve different connecting and repairing problems. 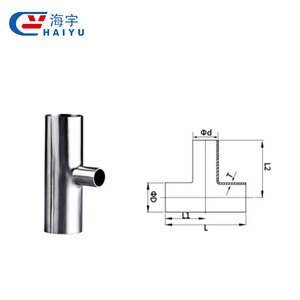 The branch of this product can help users easy to operate and solve many problems like instrument installation,sample drawn and pipe connecting. 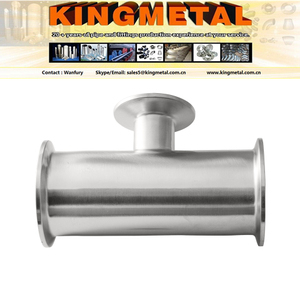 This series is widely used on the diversion of gas/oil/water supply and drain pipelines,without removing the pipe and also can be installed under pressure. 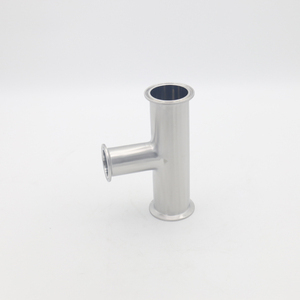 Food grade sanitary clamped reducing tee 4" to union sight glass 3"
We're manufacturer of sani tary valves , elbow,tee,reducer,cross,ferrule,clamp,and unions etc. Products with high quality and low price! Be in service at any time! Food Grade Sanitary Clamped Reducing Tee 6" With Union Sight Glass 2"
Tags: Food Grade Sanitary Clamped Reducing Tee 6" With Union Sight Glass 2" | Clamped Reducing Tee 6" With Union Sight Glass 2" | Reducing Tee 6" With Union Sight Glass 2"
1 YRS Kunshan King Lai Hygienic Materials Co., Ltd.
2 YRS Wenzhou Cuite Stainless Steel Co., Ltd.
Alibaba.com offers 829 clamp reducing tee products. About 88% of these are pipe fittings. 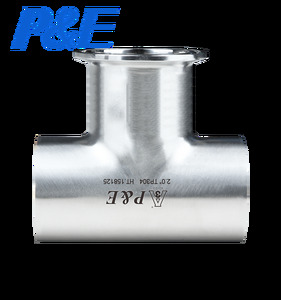 A wide variety of clamp reducing tee options are available to you, such as carbon steel, stainless steel, and iron. You can also choose from welding, female, and male. As well as from reducing, equal. And whether clamp reducing tee is casting, or forged. There are 829 clamp reducing tee suppliers, mainly located in Asia. 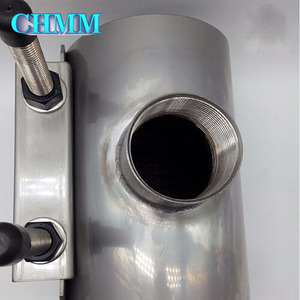 The top supplying country is China (Mainland), which supply 100% of clamp reducing tee respectively. Clamp reducing tee products are most popular in Domestic Market, North America, and Western Europe. You can ensure product safety by selecting from certified suppliers, including 640 with ISO9001, 151 with Other, and 58 with ISO14001 certification.